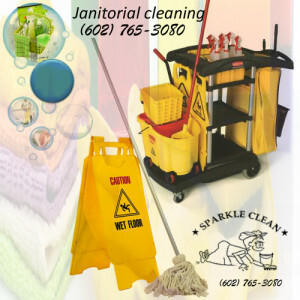 Sparkle Clean Janitorial is an Arizona-born and based company dedicated to providing the highest-quality cleaning in town. The owners and management have many years of combined experience in the commercial cleaning services. We are committed to our clients’ cleaning needs. Our number one priority is to build solid, long-term relationships with our clients. We realize that your experience is only as good as the personnel that we have at your service. This is why we hire the best possible personalized teams for the job and only use top-quality equipment and products.